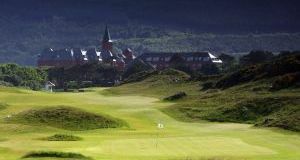 When you book your Ireland Golf Vacation with Henry Golf, you can rest assured that it will include the best available accommodations to suit your needs. We only use the best accomodations for our groups, be it Bed & Breakfasts, Guest Houses, Self Catering or Luxury Hotels or Castles. Your Ireland Golf Vacation can include some of the most luxurious accommodation paired with the best scenery Ireland has to offer. 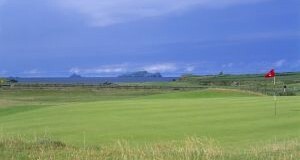 Call us now toll free to discuss your requirements for a unique Ireland golf vacation. A member of The Leading Hotels of the World and superbly located in the heart of Killarney Town, The Killarney Park Hotel is renowned as a place of elegance and hospitality. It is the perfect place for a short break, spa getaway or lavish wedding. An award-winning hotel set amongst beautiful gardens, Killeen House is a wonderful place to get away. The charming hotel offers personal service along with 23 bedrooms, a renowned restaurant and unique on-site bar. A glamorous, four-star accommodation, Killarney Plaza Hotel sits overlooking Killarney National Park in County Kerry. During a stay there, guests can enjoy the luxurious surroundings, sumptuous cuisine and many leisure activities available. Killarney Avenue Hotel is a four-star hotel that prides itself on providing old-fashioned hospitality and charm. Located on the doorstep of Killarney National Park in County Kerry, it offers guests excellent accommodation and cuisine. 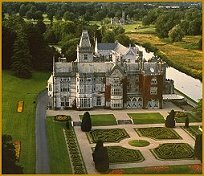 A famous Luxury Resort in the west of Ireland boasting the top rated Parkland Golf Course in Ireland. Just an hour from Ballybunion. You don’t have to play golf to appreciate this highly popular guesthouse, but it certainly must help as it is almost within the boundaries of the famous Ballybunion links. Aoife and Seamus Brock offer an extremely high standard of comfort, and there is a commitment to constant upgrading and improvement. Whether visiting Killarney purely for pleasure or planning a corporate event, travelers will find wonderful service and genuine hospitality at The Malton in Killarney, County Kerry. Formerly the Great Southern Hotel, the four-star property has been a favorite retreat for more than 150 years. The Old Ground Hotel is located right in the heart of the lively, musical town of Ennis, County Clare. It is ideally situated just 20 minutes from Shannon Airport and serves as an ideal base for exploring all the wonders of the West. The Clubhouse now includes 15 Luxurious Suites which complement the magnificent beauty and setting of the site. There are 14 Seaview Suites and 1 Presidential Suite. The ultimate in relaxation, the Old Head Spa offers a place to unwind and restore. A four star hotel, spectacularly perched on the water’s edge overlooking Kinsale Harbour. The hotel has 75 bedrooms including an executive wing comprising 30 rooms and a penthouse floor of 9 luxury suites, all with beautiful sea views. A boutique hotel with a welcoming atmosphere, The Wyatt lies in the centre of Westport Town and is a popular choice among business travellers and tourists alike. Surrounded by the wild and beautiful countryside of Rosses Point, just 3km from Sligo’s city centre, the Radisson Blu Hotel and Spa Sligo offers a scenic Irish getaway. Harvey’s Point Hotel is a welcoming, four-star hotel located on the shores of Lough Eske and just 6km from Donegal Town. The hotel has a variety of accommodation choices, including standard, superior, pet-friendly, family and reduced mobility rooms. There are many striking aspects of the Ballyliffin Lodge & Spa Hotel, including its spectacular panoramic views of Malin Head and the Inishowen coastline. The beautifully decorated interior contains 40 hotel rooms, including 12 superior rooms and two executive suites, all of which are designed to luxurious, four-star standards. Ceol Na Mara three star, Michelin recommended, guesthouse offers a choice of high quality bed and breakfast, and self-catering accommodation in Enniscrone, County Sligo. The Tower Hotel offers 90 standard guest bedrooms and luxurious suites, over 4 floors with a choice of room types to suit your requirements. We have a number of accessible rooms to ensure that each individual guest requirement is catered for. The 4th floor is designated to our executive rooms. Named Best Irish Hotel at the prestigious Travel Media Awards, 2012 the Slieve Donard Resort & Spa is the perfect spot for some well earned pampering and play. This magnificent 115 year old Victorian building boasts 178 luxurious bedrooms many, a world-leading ESPASpa onsite and the globally renowned Royal County Down golf course right on its doorstep. Our world-famous Europa hotel is home to some pretty important people when they visit Belfast. People like Presidents, Prime Ministers, Celebrities… Why? Well, maybe it’s the VIP treatment everyone receives. The choice of 272 newly refurbished bedrooms – including 92 Executive Bedrooms and Suites. 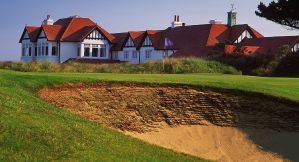 Portmarnock Hotel & Golf Links is a luxurious hotel located directly on the award-winning and magnificent Velvet Strand in Portmarnock, North County Dublin. The hotel was originally part of the famous Jameson family’s estate and there, visitors will find 138 rooms divided among the new buildings and the old house. Trinity City Hotel is a luxurious, four-star property situated just next to Trinity College in the heart of Dublin City Centre. Extended in 2007 and 2009, this boutique hotel now boasts 195 bedrooms, all of which are designed with the comfort of guests in mind. The Kildare Hotel, Spa & Country Club, affectionately known as The K Club, is Ireland’s AA Hotel of the Year 2011 and one of the country’s leading golf resorts. This elegant resort is located in the heart of the idyllic Irish countryside in the pretty village of Straffan, County Kildare. The DoubleTree hotel is conveniently located on Lower Ormond Quay in the heart of Dublin’s city center, overlooking the River Liffey. The Jervis Street Luas stop is directly behind the hotel, providing easy access to both of the city’s train stations, the O2, IFSC and the Convention Centre Dublin. The Templebar area, famed for its many bars and restaurants, is located just across the river, with the internationally renowned Jervis Street Shopping Centre and Henry Street shopping areas also on the hotels doorstep.